With over 180 speakers from 30 countries, this year’s UWRF lineup is a literary treasure trove of discoveries. Each week in the lead up to the Festival, we’ll speak to a writer whose work you may not have encountered yet, but who could well turn out to be your Festival favorite. This week we hear from Spanish author Gabriela Ybarra, whose debut was longlisted for the Man Booker International Prize. What issues and ideas are you hoping to explore during your UWRF18 sessions? I would like to explore the boundaries between fiction and nonfiction. 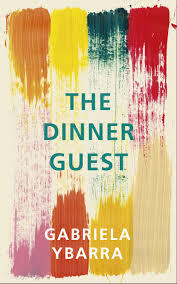 In the case of The Dinner Guest, the book is a literary artefact but it has also been a very helpful tool to overcome my mother’s grief and to explore how terrorism has affected the relationships in a family. Who do you hope will be in the audience? People interested in family stories and how they affect our identity. What’s the most extraordinary place your career has taken you? It is very exciting to see my work translated into English and to be able to connect with readers around the globe. The nomination for the Man Booker International is probably the highlight in my career. However, at a personal level, the most extraordinary place writing has taken me is closer to my family. I feel that when I write about them I understand them better and I’m able to love them more. What’s the best piece of creative advice you’ve received, and what’s the best you can give? I can’t give you any advice, but I do have a goal that I would like to share. My goal when I write is to do it with the same freedom that I had when I was a kid. I feel that, at that time, all I had to say was genuine and spontaneous, I didn’t want to please anybody or to sound smart or literary. I have recently become a mum and my child is my greatest source of inspiration right now. What are you most looking forward to at UWRF18? Learning from other writers and readers. I’m very interested in listening about the concerns of Indonesians. 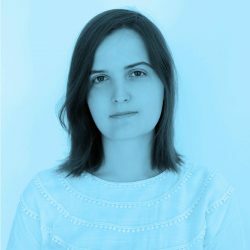 Gabriela Ybarra is part of the Main Program panels Biographical Boundaries on Day 2, and Intimate Instincts on Day 3. To buy your 4-Day Pass, click here.